On March 21st 2015 Quorum performed in the beautiful church at Chevening and received a warm welcome. 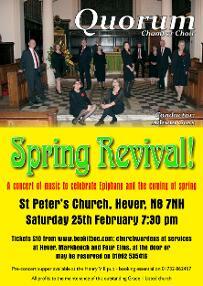 On 22nd March 2014 QUORUM Chamber Choir gave a concert at St Lawrence, Bidborough 7.30pm, returning to St Lawrence after five years. The programme comprised sacred and secular music to entertain all tastes. 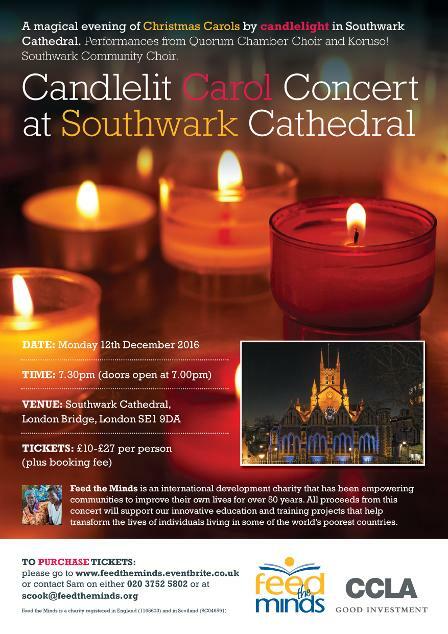 Proceeds from this concert were given to Feed the Minds, an ecumenical Christian charity working in developing countries to improve people's lives through education. "what a delightful evening you gave us"
"a big THANK YOU to everyone involved for such a super evening on Saturday. 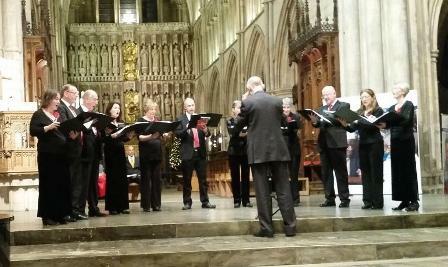 Quorum were on great form and did some lovely things - the audience really enjoyed it. Adrian's introductions are always appreciated and entertaining and add to the programme. 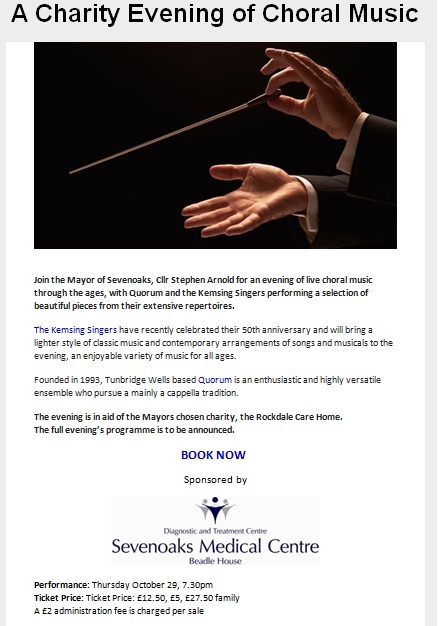 A thoroughly successful evening, I thought - I do hope you will come again"
"... our party of seven enjoyed the Quorum concert : spellbinding! Please pass on our 'thanks of great enjoyment'". 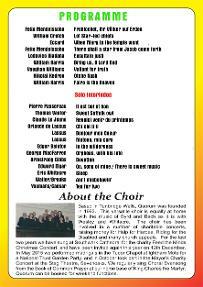 "the choir looked and sounded immaculate"
On 19th March 2011 Quorum performed to a full church at St George's Weald and raised £1,270 for the charity Help4Heroes. 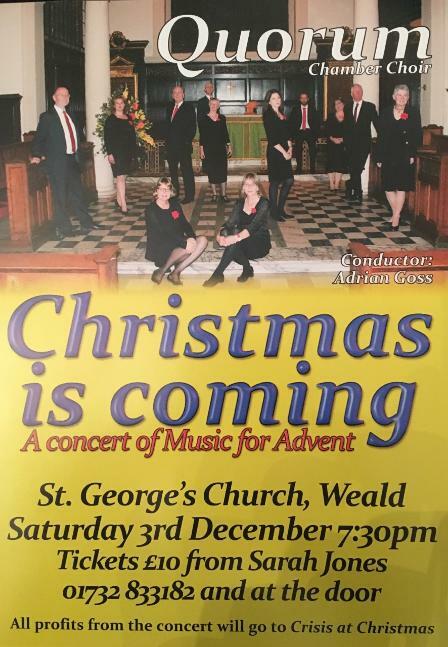 The choir was also joined by two talented students from Kent Music Academy, Elysia Preston-Bell (Bassoon) and Fraser Bowles ('Cello).